A brand new community designed to provide modern living with a classic ambiance, Sierra de Las Soleras offers a variety of new construction single story, open and flexible home designs that are also energy efficient. Filled with open space, large parks, and walking trails, Pulte Homes has new homes for sale in Santa Fe, New Mexico at Sierra de Las Soleras. The life you want to live is waiting for you at Sierra de Las Soleras. Explore this community and see for yourself. The versatile Pursuit offers open gathering spaces, up to 3 bedrooms with an optional outdoor fireplace, ideal for entertaining. Spend your days outdoors with an array of walking trails, open space and parks. Or take a short drive to shopping, renowned cuisine and other conveniences. 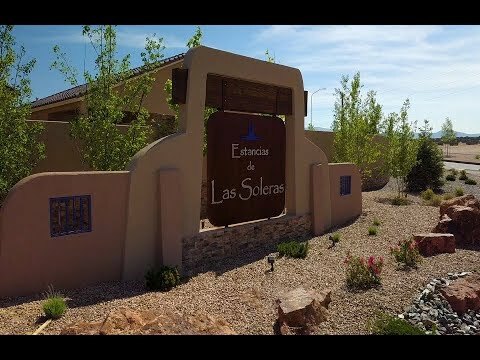 Las Soleras by Pulte Homes builds quality new homes for families and active adults in Santa Fe, NM. Sierra de Las Soleras is in the heart of Santa Fe, surrounded by open space and scenic views of the mountains with everyday conveniences like grocery and medical just around the corner. Great dining and entertainment are minutes away with the historic Plaza, the Santa Fe Outlet Mall and the Santa Fe Village Mall all just a short drive. Or spend your day outdoors on the miles of walking trails or take a day trip to the Santa Fe Ski Resort or hiking in the Sangre de Cristo Mountains.